Xiaomi has launched a new budget phone for the entry-level segment with Googles watered down Android version. The Android Go Oreo is a lightweight OS which is specifically made by Google to run on low-end hardware. The Xiaomi Redmi Go is available only in 1 GB Ram and 8 GB storage option in India and costs Rs. 4499. 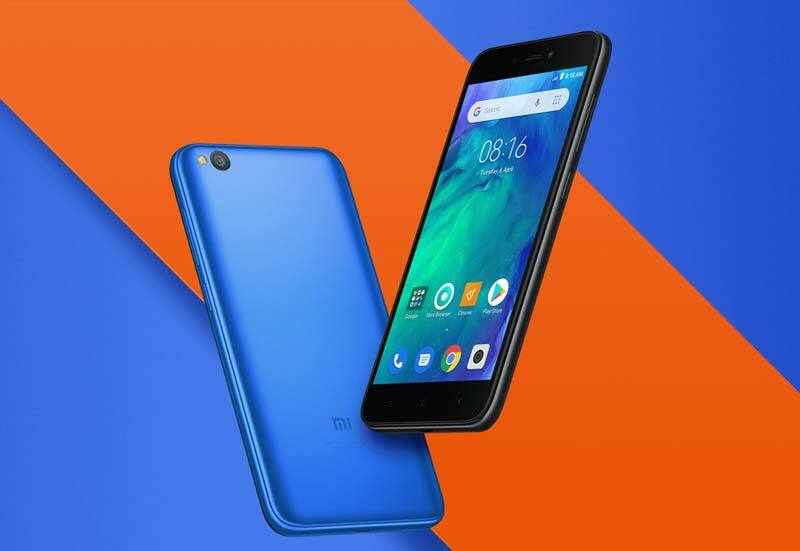 The phone will go on sale starting 22nd March 2019 from mi.com and Flipkart. This is the first Android Go smartphone from Xiaomi. However, in the past, they have worked with Google to launch Mi A1 and Mi A2 with Android One Program. The Redmi Go comes with a basic plastic build with a 5 Inch HD Display (1280*720) pixels resolution and the 16:9 aspect ratio with 380 nits maximum brightness. The phone is lightweight – 137 grams and has an 8.35 mm thickness. Notably, the phone misses on the 18:9 or the 19:9 full-screen display and comes with a 2 generation old aspect ratio (More Bezels). Powering the device is the Qualcomm Snapdragon 425 Quad Core processor with a maximum clock speed of 1.4 GHz and has Adreno 308 GPU. Aforementioned, it comes with 1 GB of Ram and 8 GB of internal storage. The storage is expanded up to 128 GB using the hybrid micro-sd card slot. Inspire of having Android Go edition the presence of just 1 GB ram and 8 GB internal storage seems low for many users who want absolute best from Xiaomi. Also, it should have come with a dedicated micro-sd card slot to take advantage of Dual Sims and expandable storage simultaneously. For photography, it comes with an 8 MP rear camera (f/2.0 aperture) with support for HDR and 1080P videos. At the front, there is a single 5 Megapixel camera with an f/2.2 aperture to capture selfies. Lastly, it comes with a 3000 mAH capacity battery which is sufficient to last all day. Xiaomi is supplying a 5V/1A charger (lacks fast charging support) with the device. Considering the price, the specs it looks underwhelming especially when the phone comes from Xiaomi. Redmi 4A or the Redmi 5A/6A from Xiaomi in the budget segment were better offerings, although slightly expensive. Considering there are options like Asus Zenfone Lite L1 and iVoomi Me5 which offers a full Android experience and better specs for a same/slightly higher price; the Redmi Go doesn’t look so appealing. If you are really tight on the budget and want an Android Go phone then can opt for the Redmi Go else look for better options from other Chinese brands in the sub 5k price range. The troubled Indian mobile manufacturer, Micromax, has launched a new budget smartphone that runs on Google’s Android Go Oreo Edition. (The Android Go is a lighter version of the Android Os and comes with optimized Go Apps which can run on underpowered hardware). The new Micromax Spark GO is already available for purchase from Flipkart for a price of Rs. 3499. The phone comes with a standard 5 Inch display with 16:9 aspect ratio and has an FWVGA(854*480) pixels resolution. Powering the device is a Spreadtrum is the SC9832E Quad-Core Processor with a maximum clock speed of 1.3 GHz and comes with the Mali-T720 GPU. The phone has 1 GB of Ram and has 8 GB of internal storage, which is expandable up to 32 GB using the Micro-sd card. Aforementioned, it runs on the Oreo 8.1 GO edition and comes pre-loaded with all the essential Google Apps. For photography, it has a fixed focus 5 Megapixel rear camera with an LED Flash. At the front side, we have a 2 Megapixel basic selfie shooter. The rear camera is capable of recording Full HD videos with 30 FPS. The battery capacity is not very large; it comes with a 2000 mAH capacity Li-Ion Battery. There is no fast charging support. However, it comes with basic connectivity options like Dual Sim, 4G VOLTE, Bluetooth, WIFI and micro-USB. The Transsision holding (also owns Infinix and Tecno) owned Spice has announced the launch of first Android Go mobile in India that comes with 18:9 aspect ratio. Note – Android Go is the lightweight OS from Google which comes with specially optimized Apps such as Youtube Go, Chrome Go and Files Go. There are several other phones like Nokia 1, Lava Z50 and Micromax Bharat Go running on Android Go. The Spice F311 will launch soon in the retail as well as on the online store. Additionally, the phone comes with a dedicated key for quick access to social media Apps. The mobile will go on sale for an MRP of Rs. 5599 which seems to be high considering it is an Android Go mobile. Nevertheless, it offers decent hardware. The phone has a 5.45 Inch display that has a 960*480 pixels resolution with low bezel display offering 196 PPI. Powering the mobile is an unspecified Quad-Core Processor with a 1.1 GHz clock speed. We think it is the Mediatek 6737 processor. Also, It comes with Mali T720 MP1 GPU. Further, the phone comes with an essential 1 GB of ram and has 16 GB of internal storage, expandable up to 32 GB using micro-sd card. Like most new phones it has dual-sim support and runs on the Android Oreo 8.1 (Go Edition). Additionally, it comes with a basic 5 Megapixel rear camera with LED flash, and there is even a 5 MP selfie shooter. Also, the mobile sports a fingerprint scanner at the back and has 2400 mAH capacity battery. 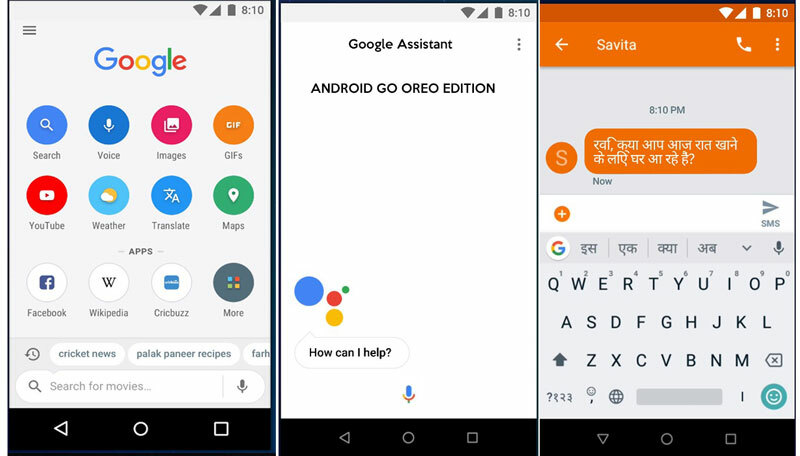 Back in May 2017 at the Google I/O developer summit, Google shared the details of a new operating system “Android Go.” Recently, at the Google India developer conference, shared more details about the upcoming variant of Android. 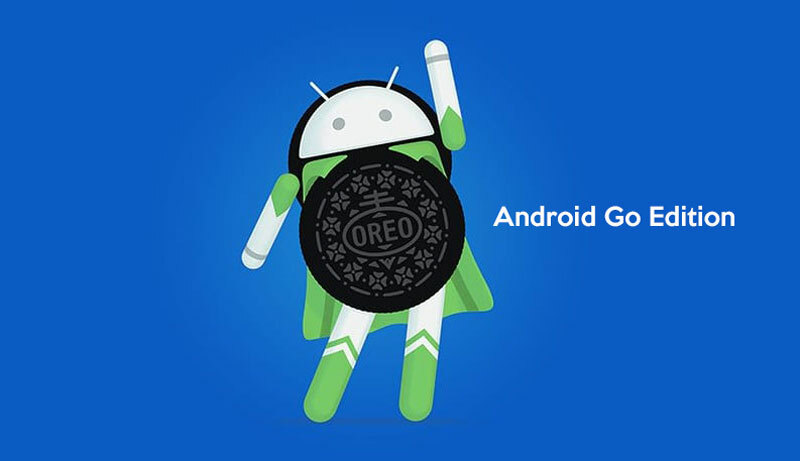 The Android Go is referred to as Android Go Oreo Edition, as Google’s latest full-feature OS is Oreo 8.1. Furthermore, the Android Go Oreo edition is a forklift from the current Google O. In fact, it is a watered-down version of the full Android Oreo OS that makes it feasible to run on mediocre hardware. Android Go will come with a lighter code and smaller Apps that enables it to run on low-cost budget phones on underpowered hones. Also, it is less taxing compared to the full version of Android. Notably, it takes lesser space and will run on low powered Quad-Core or even Dual Core processors from Snapdragon, MediaTek, and Spreadtrum. The significant benefit is that phones can work lag-free even with 512MB or just 1 GB Ram. Besides, Google is also working on the special edition of Apps for the Go OS. It will have Youtube Go, Mail Go, Voice Assistant, maps, and Chrome. All these Apps are optimized and will work flawlessly on the low-cost phones running Android Go Oreo. Another advantage is that it has enhanced security, and all your apps will get scanned by the play store to remove any malicious apps. Additionally, Google has built a data saver in the OS that will help you reduce your data bill. How is Android Go Beneficial for Buyers? Currently, low-cost Android Phones come with the Android Marshmallow or Nougat OS that does not offer a smooth experience. Contrastingly, the Android Go will offer a much better experience and will help them save space and data. Currently, most Android phones with 1 GB Ram are available in the range of Rs. 3500 to Rs 6000. The Android Go phones can be cheaper, and we can expect a starting price of Rs. 2500. While JIO is banking on its KAI OS based phone, which is available for Rs 1500. An Android device is a much better option if buyers can get it for Rs. 2500. Will it fail like Android One? Remember, the Android One smartphones that Google launched with bells and whistles. And later after a couple of months forgot about them. We hope they don’t do it with the Android Go. The objective of the Android One initiative was also to provide access to people looking for affordable smartphones. Android One phones from Spice, Micromax, and Karbonn promised to offer better Android experience on low-cost devices. All such software optimizations were part of the program back then too along with faster software updates. There have been several Android One phones, which offered just 2 things – stock Android experience and faster Google OS updates. Recently, Google partnered with Xiaomi to launch the Mi A1 with stock Android experience which is a mid-range phone with good hardware. Google failed in doing what they promised with the Android One initiative. But now they have come up with the new Android Go to take things in a positive direction. The fundamental difference between standard Android and Android Go is that the later is much lighter and easy to run on low powered hardware. 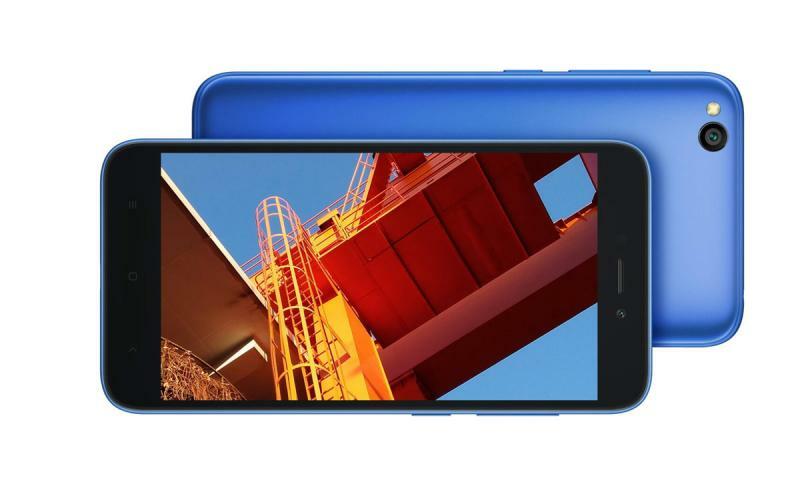 The Android One initiative lacked any special optimizations making it more suitable for low-cost hardware. However, this is not an issue with the new Android GO. 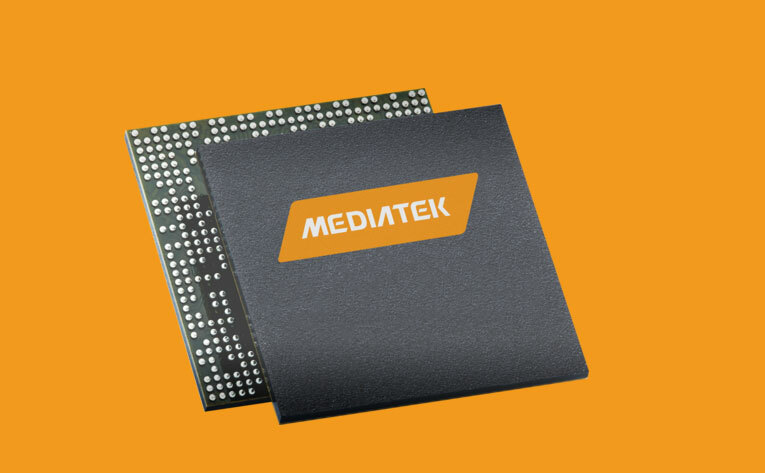 Furthermore, MediaTek has announced that they are working on the processors that will work seamlessly with the new OS. Some existing processor to have the Go support are Mediatek 6737, 6739 and 6580. These processors will power the future Android Go phones made by several manufacturers. Which companies will make Android Go Phones and When? Since Android Go phones are low priced, several Indian and Chinese mobile companies will make these phones, to target the next Billion mobile users. As per a report, not only Indian companies like Micromax, Karbonn, Intex, Xolo, Lava but also companies like Samsung, Xiaomi, Sony, and Oppo are going to try their hand in offering new phones to budget buyers. I am not sure what he meant by specs, but we can count on better performance from these devices. Finally, it is a win-win for the buyers as well as companies, looking forward to tapping the bottom of the pyramid. Further, we can expect the first set of Android Go phones to launch by January or February 2018. Especially, India and other similar Asian markets like Pakistan, Bangladesh, Philippines, Thailand, and Sri Lanka are going to be lucrative for mobile manufacturers and Google to expand their base. 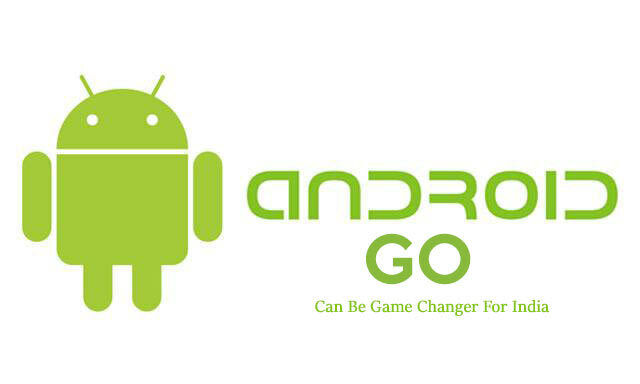 I will add some Best Android Go Smartphones to this post once I get more information on the upcoming Android Go mobiles. The revamped material design started from the Android Marshmallow was a significant leap in the UI and UX for the OS. Android Nougat came with lot more back end refinements. iOS has always been refined and is exclusive to Apple phones. Google met the need for an open-source OS which can match Apple experience. There are currently more than 2 Billion Android devices live, as stated by Sundar Pichai at the Google I/O 2017. Android has become the darling for developers and smartphone vendors. Though Android is not perfect and can never be ideal for all the devices it runs; the smartphones vary from powerful 6 GB Ram and Snapdragon 835 processor to less than 1 GB Ram and Dual Core Socs. Does one size fit all approach work all the time, maybe to some extent but not always. Another major issue with Android is the newer version is not rolled out for all the devices; the system is nowhere near the iOS regarding timely updates. And when phones with lower hardware specs get updated they usually experience lag and slow down. To improve that scenario, Google unveiled a new project called “Android-Go” at the Google I/O 2017 event. It’s a light version of Android which aims to improve the software performance by modifying the native OS significantly. It’ll be ideal for smartphones running 1 GB RAM or less. Some tech enthusiasts might have experienced a déjà vu after knowing about this project by Google. Yes, it’s somewhat reminiscent of the “Android One” project, which Google had initiated some years ago. Apart from some low-cost smartphones running the latest Google OS, nothing meaningful came out of the Android One initiative. It was a failure. All the pre-installed Google apps will be lighter versions. Even the PlayStore will feature and recommend a light version of various apps including Facebook and social media apps. YouTube Go, is a great example of showcasing what Android Go brings to the table. Since YouTube uses a lot of data already and the users don’t know whether the video will provide the exact content they want. Youtube GO allows users to see the preview frames of any video they want to watch. It also asks the users to select the video quality before the streaming begins to save data. The users will be able to download the videos to watch it offline/later.All these features will be free for YouTube Go and Android Go users. Google might partner with some of the local brands like Lava, Intex, Karbonn to launch the Android Go based low-cost smartphones. There could be Reliance JIO 4G VOLTE devices which may get initiated by the end of the year. Google partnered with Spice, Intex and Micromax for the Android One initiative to launch budget phones and this time also it can be a similar strategy, but phones will come with a lighter Android Go OS instead of the full Android OS. It is a big step to reach to the last mile of mobile buyers who want affordable and good performing mobiles with good features. Google hopes to deliver it this time. A lot of buyers in the rural area and even in metro cities in India are still looking for cheaper Android smartphones which cost Rs. 2000 to Rs 3000. There are some smartphones available in this price range, but the 512 MB Ram on these devices makes them slow while running Android. Android Go can lead to the addition of many more users to the Android Eco-system which are currently using the feature phone. Also with 4G VOLTE support and cheaper data and free voice plans for JIO bottom of the pyramid may find this relevant and within reach. You Can Read More about Some of the Best Affordable 4G smartphones available in India Here.